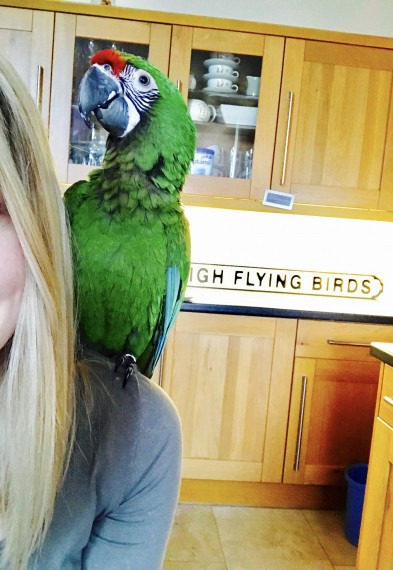 6 month old Military Macaw is up for sale due to no fault of her own. super tame and friendly. excellent around everyone in the family including our other birds and children.needs someone who is going to be with her most of the day, she thrives off human company and isn't a one man bird! She has all certificates and will come with her java tree and abundance of toys.